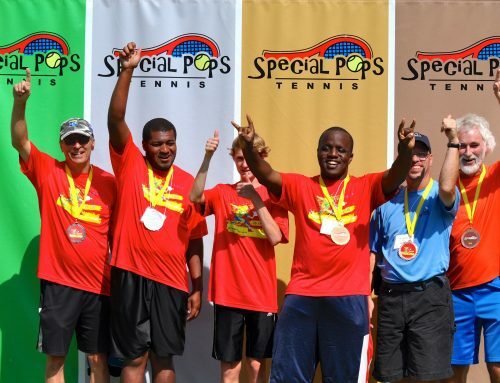 On Memorial Day Weekend the Medlock Bridge community, with the help of tennis Director Allan Jensen and the tennis Committee Members, were able to raise over $2,500.00 for Special Pops through a wine grab, silent auction, raffle ticket sales, tournament fees and individual donations. 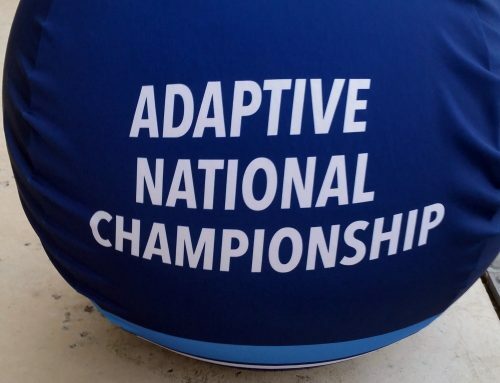 The final total donation will be determined when all the figures are in, we are aiming for $7,000+ . 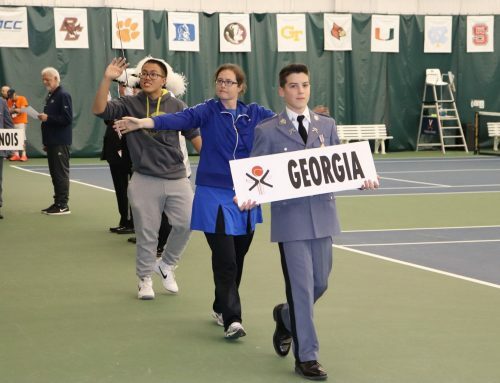 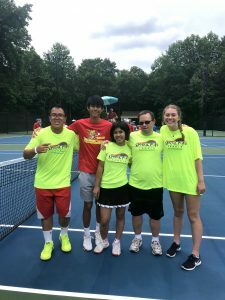 Special Pops Athletes (Anthony Le, Doug Penning, Mimi Ngo and their families) were especially welcomed and the athletes participated as ball people and scoreboard helpers during the finals. 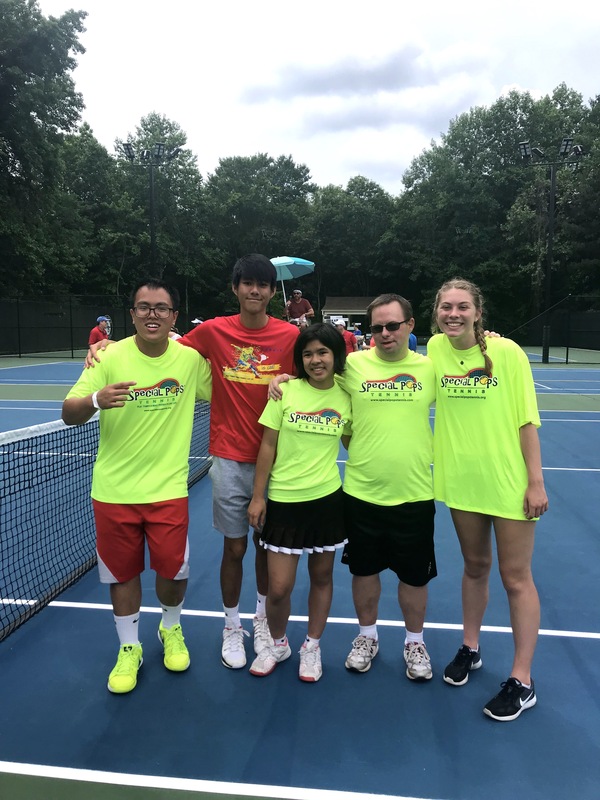 Not only did they enjoy helping during the tournament they also got the opportunity to play some fun-filled tennis with new friends as well!